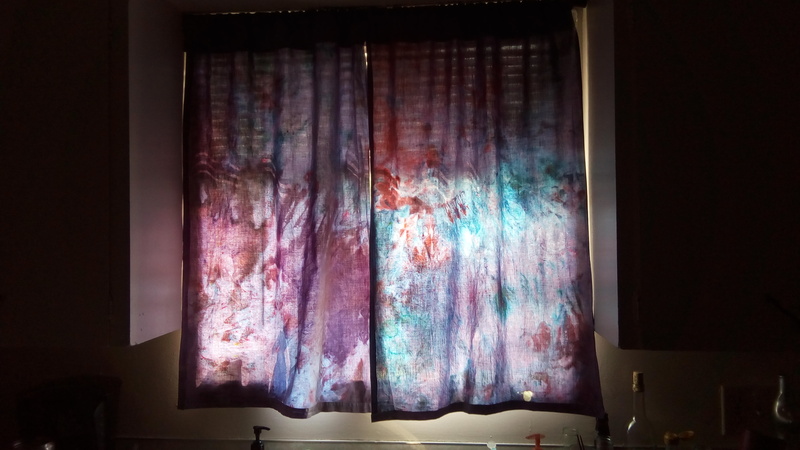 Two of my best friends recently moved into a new appartment and needed some new curtains. 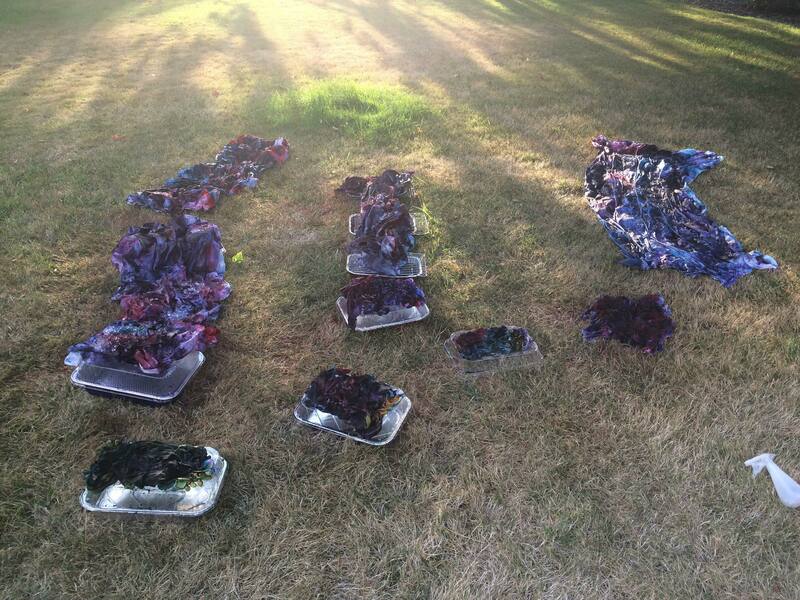 I thought what could be more fun than tye dying them some curtains! 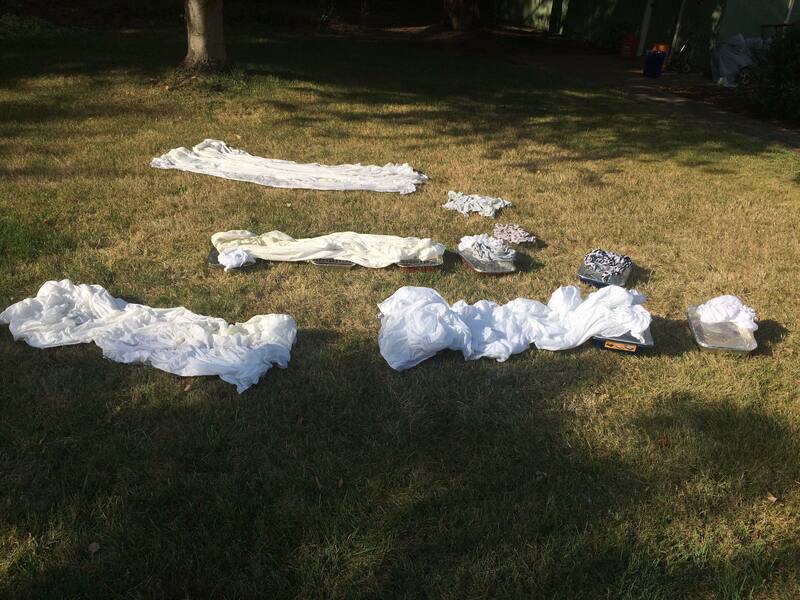 My mom had saved some white cotton sheets and Brit and I had just tried out ice dying when I visited her. I loved how the ice dying turned out and since I have a nice sized lawn, I had plenty of space to do my project. Soaking the sheets in soda ash. 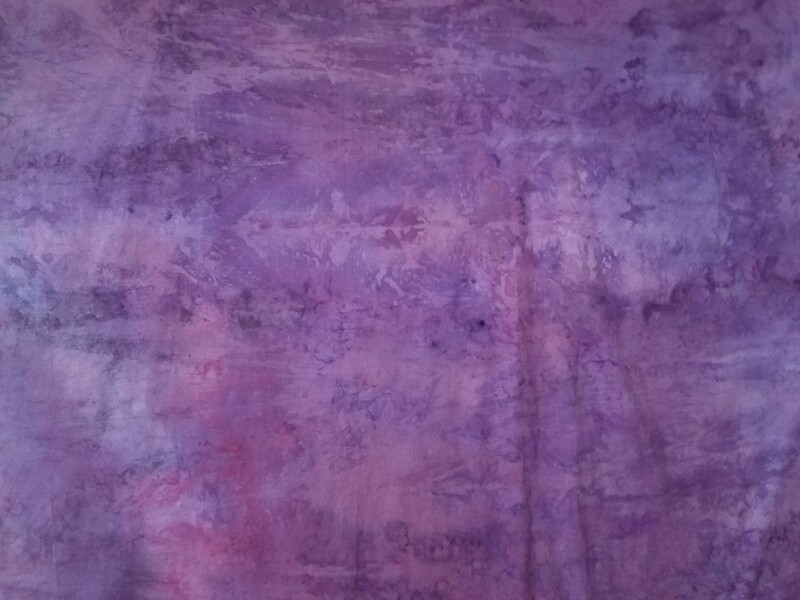 We let the dye melt into the fabric for 3 hours. 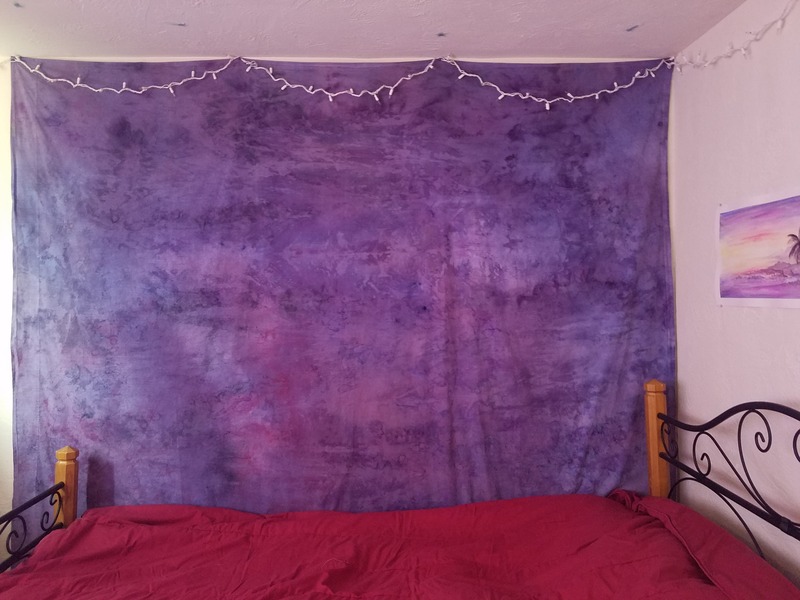 After washing and drying the sheets, I made them into curtains. 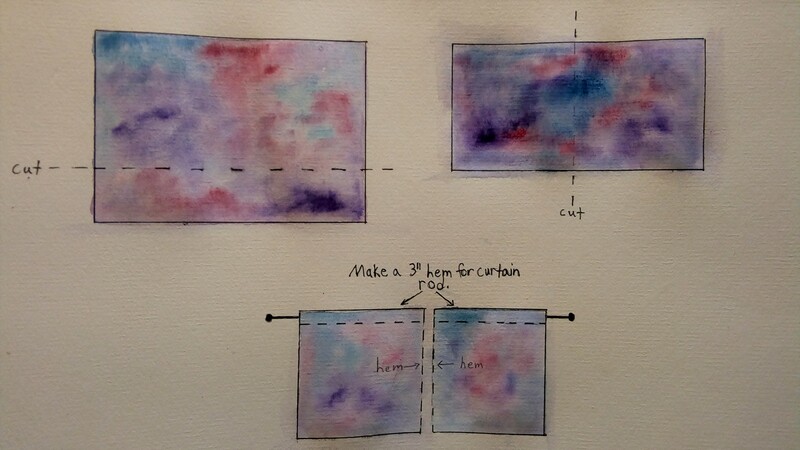 This is essentially what I did to make them curtains. I did iron the sheets beforehand to make measuring and cutting them as accurate as possible. Remember to leave extra lenght for hemming! They look so beautiful with sunlight coming through them! I had an extra sheet which I didn’t cut. 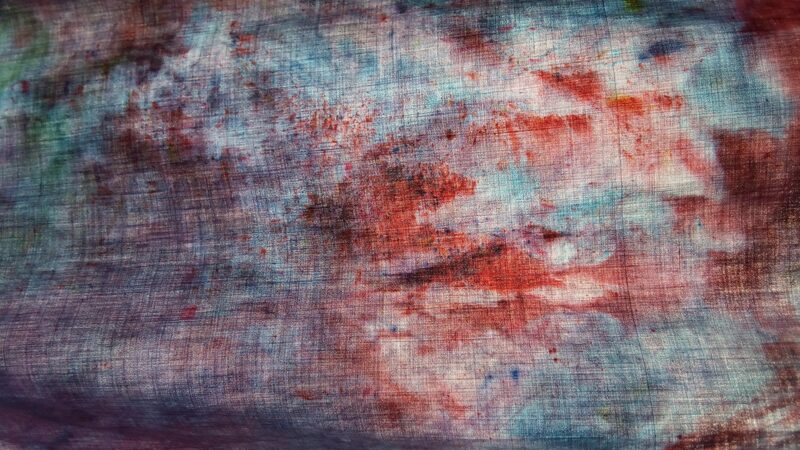 Instead, I pinned it up on the wall like a tapestry. In an appartment where you can’t paint the walls, this is a great way to add color and it looks great! The curtains turned out great and my friends love them! Success!